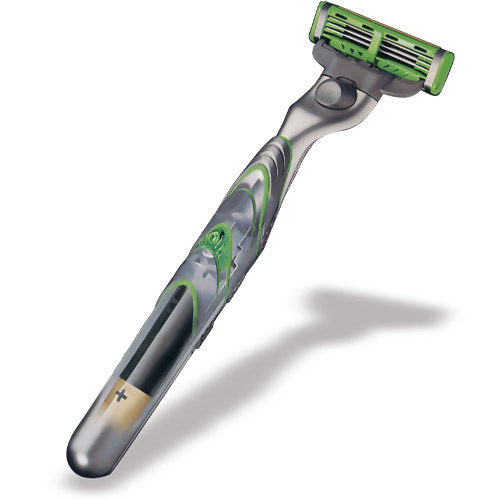 Modern wet razors provide the function of supporting the shave using vibration. A functional test is performed at the end of production for these models. The razor is switched on and placed in the light band of the optoCONTROL optical micrometer. The laser micrometer measures the vibration amplitude and the frequency.